The newest Fiesta engine from the Ford Motor Company is a real accomplishment, with fuel economy high into the 60's and 70 mpg and an output of 140bhp as standard, its a true innovation combining economy and good day to day performance capabilities. Dont for one second think that this pocket engine is too small, the power and torque we can extract from this stock motor and turbo will have you amazed, with the quick spooling small turbo it will easily out pace any previous 1600cc Fiesta and even the older 2000cc ST150 is no problem for this motor in tuned form. So what power can this engine actually achieve without sacrificing Longevity and Economy ? After 12,000 miles of performance testing, and after consultation with many engineers around the world, Pumaspeed have explored many versions of engine tune and component combination to bring a selection of products that will enhance the performance of the Fiesta 1.0 Turbo EcoBoost Engine. 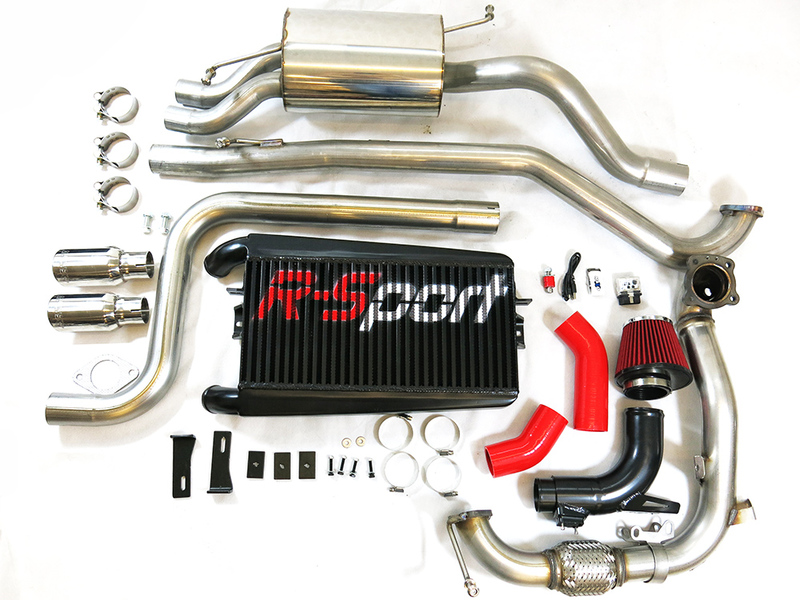 Each kit is build from a set of strictly quality controled components that add extra flow to both the induction and exhaust systems of the motor. The components can be purchased one at a time, or in a full upgrade kit which can be fitted at the Pumaspeed workshop. What does the 178 kit contain ? Milltek Sport Cat Back Exhaust System. The Pumaspeed Workshop team are ready to fit the Ford Fiesta 140 1.0T Ecoboost 178 bhp Power Upgrade in our Head Office located here. We estimate the labour time to be approximately 4.27 hour(s) costing £333.06 inc VAT. Therefore making parts and labour a total cost £1,832.06 (inc. VAT). Pumaspeed have a specialist distribution team that can dispatch the Ford Fiesta 140 1.0T Ecoboost 178 bhp Power Upgrade to any destination worldwide.